One of the most amazing dinosaur, Dilophosaurus, lived during the Early Jurassic park in North America about 190 million years ago. Its name refers to its awesome twin crests that adorn the skull. Dilophosaurus means ” two crested lizard”, taken from Greek language. 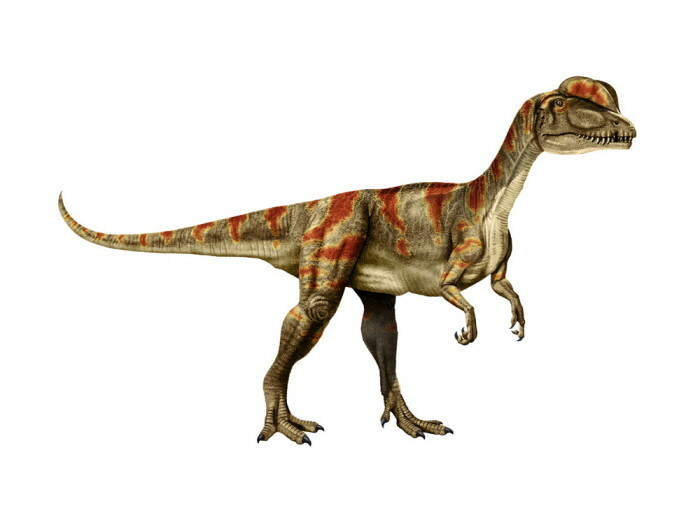 Just like any other early Jurassic period dinosaur, Dilophosaurus was a small meat-eater, but it comes very powerful legs and hands. 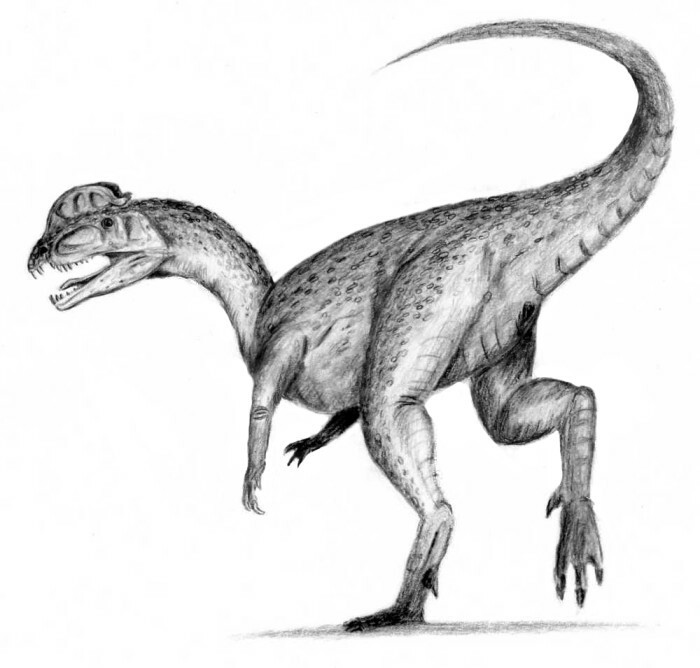 Dilophosaurus was a bipedal dinosaur that can walks in two-legs or four. 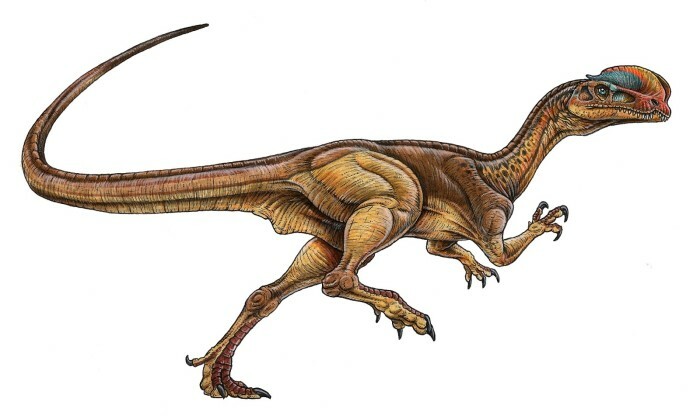 This dinosaur was able to run quickly, we can see it from its legs’ bones structure. Dilophosaurus size was about 8 foot high and 6 meter long. Equipped with sharp-blade claws to grasp their prey and flesh the meat. Possibly, Dilophosaurus was a scavenger. It had very sharp teeth, but very weak to stab the prey. WIth this kind of teeth, Dilophosaurus wasn’t able to use its teeth to kill, and would have been forced to use its powerful claws and feet. 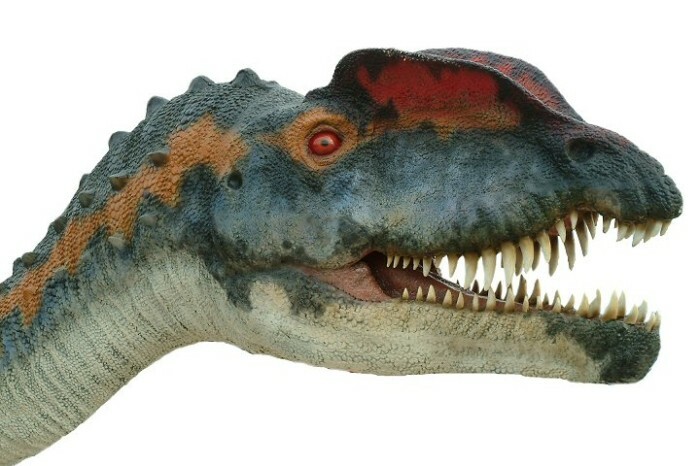 Dilophosaurus uses its crests to display of aggression or intimidation. This helps them to protect themselves from predator. Dilophosaurus fossils have been found in a group, some paleontologists believe that Dilophosaurus were a group animal. They had the ability to cover their territory and move as a pack. If you want to see the live version of Dilophosaurus, you can watch the first Jurassic park. You’ll see how awesome this dinosaur is.